Faced with the threat of closure, it was the ‘Love of Libraries’ that underpinned the decision by members of our community to create the Wenvoe Community Library. Now, three years later, this group of volunteers are looking forward to the opening of the new library early in 2020 in surroundings which will be a hub for the community. Whilst funding from Welsh Government and the Vale of Glamorgan Council have made this possible, the volunteers are under no illusion that for the library to retain a place at the heart of our community, they need our continued support. 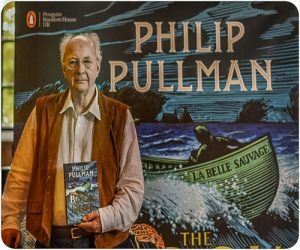 Authors Jaqueline Wilson, Philip Pullman and Salley Vickers shared their ‘Love of Libraries’ at the British Library in London on Sunday 10 March. Each author talked about the importance of libraries to them as children and how those libraries influenced their work as writers in later life. Sylvia and Cathryn Harvey write about an inspiring day. 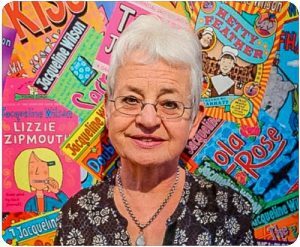 For Jacqueline Wilson, the library served as a place of refuge during the summer holidays with arguing parents. She has wonderful memories of the silence, the smell and the blissful feeling of losing herself in the world of books. In this safe haven, she discovered books by Louisa M Alcott, Jane Austen and Mazo de la Roche. As a young mother later in life, she took her daughter Emma to her local library, letting her choose picture books like The Tiger who came to Tea and Where the Wild Things Are for them to read together. When Emma got older, the Nipper series became a favourite and served as the final inspiration to Jacqueline to fulfil the lifelong dream of becoming a writer. And the library also served an important role in Emma’s later life- she became fascinated by the French literature section and has gone on to become a professor of French Literature at Cambridge University. 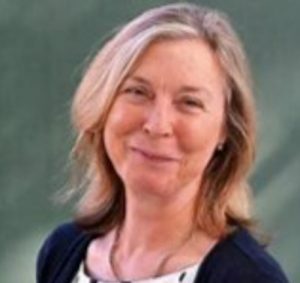 Jacqueline’s books focused on those stories not often heard, of children in difficult family situations in urban areas, that have become a staple for children across the country. his books will know how much this influenced his later work), and after graduating he worked in Charing Cross library for a time and as a teacher, before becoming a full-time author. In many of his novels, libraries feature heavily, particularly in His Dark Materials series and La Belle Sauvage, the first of the Book of Dust series. Salley Vickers started her talk with her challenging childhood. As her parents were outspoken Communists, they often struggled financially, and the family was unable to buy books. As a result, Salley, from a very early age, spent much of her time in her local library, whose wonderful children’s librarian recommended books for her and let her choose her own. Salley developed a love for The Moomins, by Tove Janssen, especially the character Snuffkin, whose famous line, “all small creatures should wear bows on their tails”, has become one of Salley’s favourite quotes. Other discovered favourites included The Princess and The Goblin and other books by George McDonald, and Rosemary Sutcliffe’s The Eagle of the Ninth series. But her most treasured childhood book is Tom’s Midnight Garden by Phillipa Pearce. The wonderful librarian, a Ms Blackwell, whose guidance was so invaluable to Salley as a child, served as the inspiration for her latest novel, The Librarian. In the novel, Sylvia Blackwell’s goal is to inspire the children of East Mole to read, but elements of her personal life cause tension within the town, threatening the existence of the library altogether. The discussion between the authors and the audience highlighted the importance of choice; for children to choose their books and for librarians to choose the books they believe their patrons would like to read. The current push for diversity has failed to take into account the treasure trove that is a library. Where else can you find the stories of so many people from so many different walks of life in one place? Reading and listening to stories teaches empathy and understanding in a way that nothing else can. By investing in libraries, we are investing in the future by giving children a place to grow and develop ideas, and hopefully, help them become the best versions of themselves. We will leave you with this quote from an audience member: ‘A library is a treasure chest of Serendipity’. It is a place to be discovered and explored, with the unknown surprising you at every turn. I do hope this will inspire you all as much as it did us. Please share your childhood memories of libraries with us on your next visit to the library or email us at sylviaharvey@hotmail.co.uk. We would like to display a collection of excerpts of your memories at the community events which will celebrate the opening of our new library.